Number 9 is associated with the best qualities a person can have: kindheartedness, loyalty, curiosity, care, understanding and empathy. The best way for you to express yourself is to open your feelings, don't be afraid to manifest your sympathy and kindness. If you feel good, helping people, try to make it your job. You are in good relationships with others, and if someone is asked to describe you in one word, this word will be nice. You are a source of inspiration for people around. Number 9 usually provides numerous talents, but mostly they need to be developed. You definitely have some tendencies, so just try to develop as more skills as you can, and you will be amazed about the things you are capable of. People like you are great social workers, doctors, attorneys and diplomats. 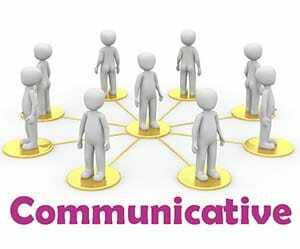 You are very communicative person. But you always know the limit. You don't like when others are interested in your private life, because you really value the relationships with your friends and family. You are the person that inspires others; a conversation with you may open eyes to a person that was in doubt for a long time. Even such a great number as 9 has some shortcomings: if it is manifested negatively all the kindness of a person is oriented inwards, on the self, so the person is selfish. Also you need a friend as nice as you are right beside you, because in times of trouble if you don't find the support, you can get lost and make a wrong decision. In such case you will feel apathy, depression and no desire to move on.